The IMC – CPMR participated in Ecomondo 2017, in Rimini, Italy, 8th November 2017, during a workshop focusing on Sustainable Mediterranean Bioeconomy and the Co-Evolve Info Day. The event on Bioeconomy sought how to work on the backlog of bioeconomy in the Mediterranean compared to Northern countries and find innovative solutions to push forward initiatives and concrete actions. The Mediterranean has tremendous agro, forestry and marine resources but is strongly impacted by climate change. Fighting hydric stress, reaching a sustainable management of water provision and use and of food systems are among the key issues to be tackled at local level. Eleni Hatziyanni, Director of Environment and Spatial Planning, Region of Crete represented the CPMR and its Intermediterannean Commission during the workshop. 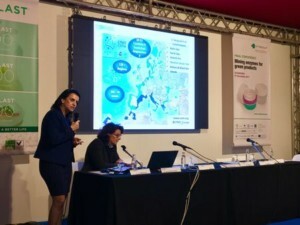 She focused on the regional dimension of Bioeconomy as strongly related with the scope of Circular Economy, which is very high in the European Agenda and of high interest of regional authorities, especially in the Mediterranean basin as sharing the same environment and spatially-environmental needs and threats. The European Marine Biological Research Centre (EMBRC-ERIC) was also underlined as it is strongly related to marine biotechnology, and thus of relevance of both bioeconomy (aquatic), innovative relevant technologies and development in med coastal-insular regions. PRIMA and BLUEMED initiative as well as the Union for the Mediterranean, are among the initiatives, partnerships and key actors, willing to create a long-term coordination of European and non-EU Countries of the area towards R&I activities in the field of bioeconomy. 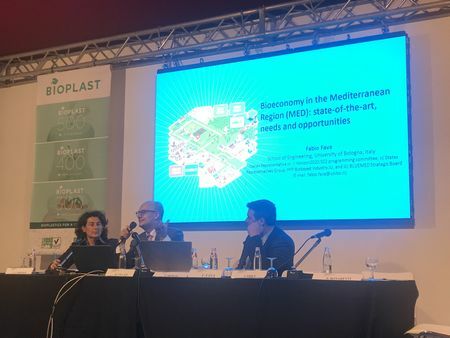 Transnational synergies and complementarities will provide added value to regional, national and EU investments, required for the promotion of Mediterranean primary production and industry. The conclusion of the event stressed the opportunity to coordinate among relevant initiatives-strategies in the Mediterranean, focusing also on the cooperation of regional and macro regional perspective.